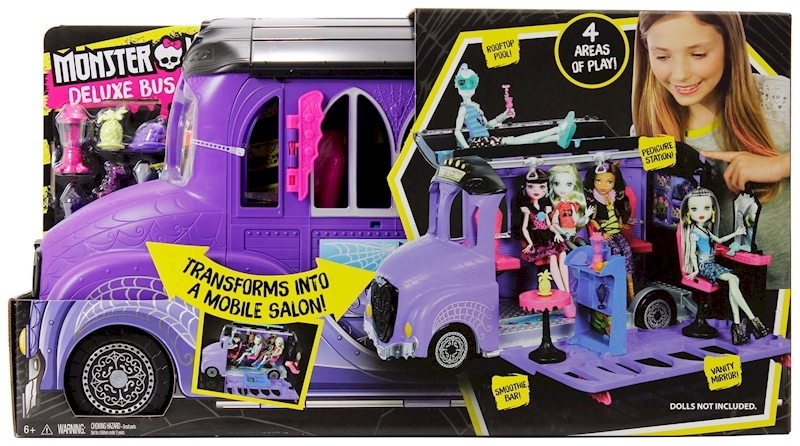 Take this Monster High™ bus to school! 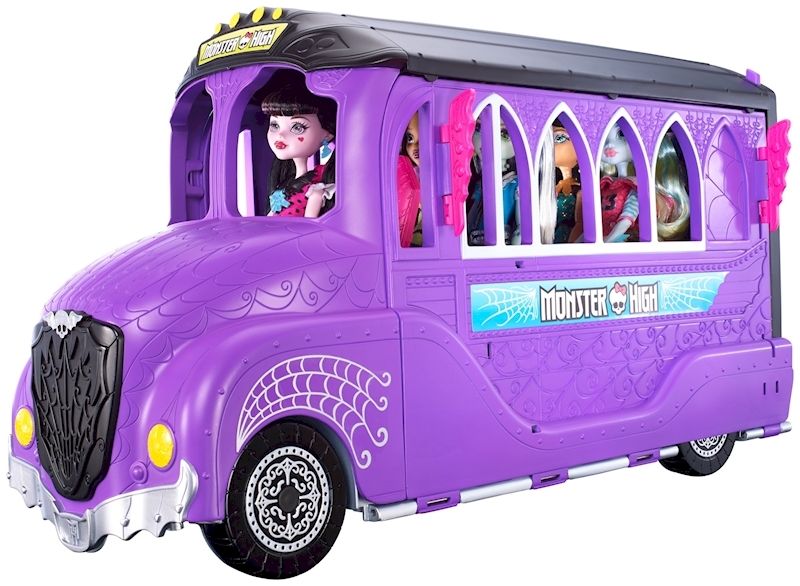 It can hit the open road -- or open into monsteriffic fun! 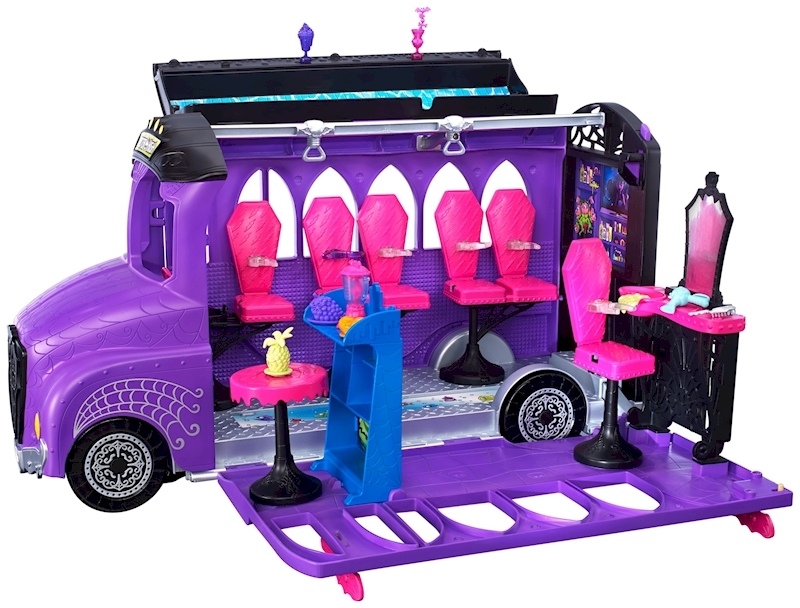 The two-in-one bus transforms in an instant from rolling vehicle with room for six dolls (sold separately) into a spa play set with multiple play spaces. 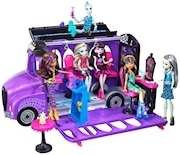 Pull the bumper to open the side and the top, revealing the spooktacular spa! The roof becomes a spa tub with spots to hold a smoothie. Pull the bumper a little more to swivel the seats and give the passengers access to the piranha pedicure. Then lift up the mirrored vanity and the smoothie bar and pull up a chair or stool for a beauty treatment or a snack. Smaller pieces help play out these spa moments, like a brush, hairdryer, blender and smoothie drinks. When the ghouls are gore-geous, close up the spa and head back on the road -- or to school.